Inside Job is a recently released documentary film about the causes of the present financial crisis. I’ve not yet seen it, but from all indications it’s a blockbuster that exposes massive criminal fraud and malfeasance by both Wall Street and Washington. Watch this video as Dylan Ratigan on MSNBC speaks with the film’s director and Professor William Black. 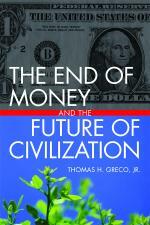 This entry was posted in Finance and Economics, The Political Money System and tagged financial crisis, Inside Job. Bookmark the permalink.